Assassin’s Creed Uprising #12 will be the culmination of Juno’s story, a recurring arc which appears in almost all of the games. How well does Assassin’s Creed Origins capture ancient eygpt? We asked an Egyptologist. For those not in the know, Juno is a member of the First Civilisation, an ancient advanced society that predates our own. The First Civilisation created humanity to use as a malleable workforce, controlling their brains with the ‘pieces of Eden’. After a rebellion and a natural disaster wiped out Juno’s people, humanity prospered alone. Since then, Juno’s consciousness has been locked inside an ancient computer, waiting to return. Juno has been instrumental in the events of the series. 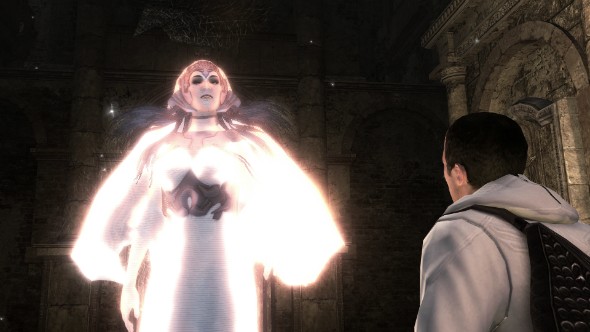 In Brotherhood and Revelations she manipulates Desmond into releasing her from her prison, and in almost every game since she has had cameos, threatening to return and dominate humanity once more. The Uprising comic series has been telling the story of the Templars’ attempts to revive Juno, and in issue #11 it was revealed that they had successfully created a body for her consciousness to inhabit. It’s something of a running joke that Assassin’s Creed stories meander somewhat. After Revelations especially, each game served up morsels of plot, dragging out the story as slowly as possible. It’s a little frustrating then that the series’ biggest recurring character, the central villain of the games, will make herbig return not in the next game, but in the comics.